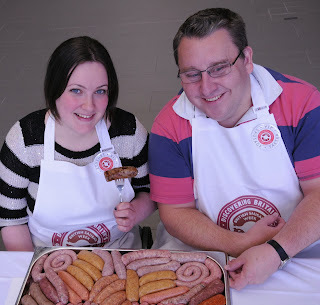 My first official assignment as Hambassador was an amazing one, judging the national sausage competition for sausage week which takes place in November. 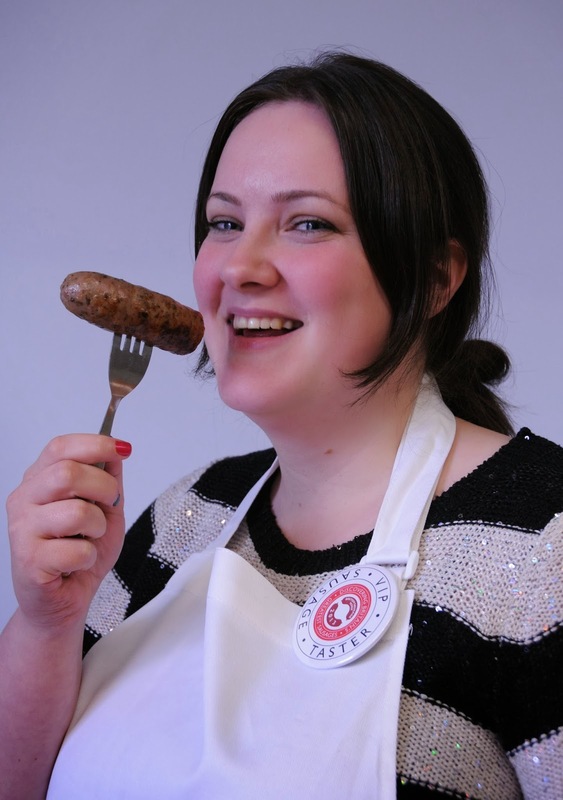 I have to admit I'd never given much (if any) thought as to how a winner of a sausage competition is selected. It wasn't the sausage munching feast that I had imagined, it's a fairly formal affair and rigorously controlled. We still did eat a lot of sausage and it was great to get a glimpse behind the scenes. It turns out I've got quite a good nose for ingredients too. The judging was held at the Regional Food Academy at Harper Adams University. The university is one of the only places in the country that has the facilities and refrigeration available to cope with the hundreds of sausages that are send in for the competition, I think it's also fitting that this is the home of the 400 metre sausage roll. The conference room was laid out with tasting tables, with water and sliced apple available to cleanse the palate in between tastings. 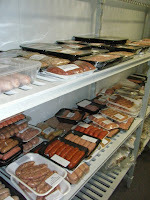 There were three hundred sausages to get through which were split between the twenty pairs of judges. I was suited up in a butchers coat and led to my table where I met author Jason Ayres of Bicester Blogger. Jason had won a competition through Love Pork to be a judge for the day, as we were both novice judges we were accompanied by butcher Keith Fisher who guided us through the process. All sausages start with one hundred points, they are then examined in their raw state and again when cooked before finally being tasted. Up to ten points can be deducted in each category if the sausage is lacking in that particular area. 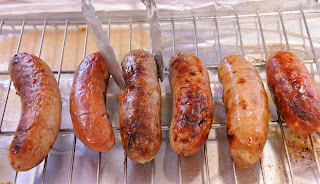 One such area is shrinkage, does the sausage retain it's size when cooked? 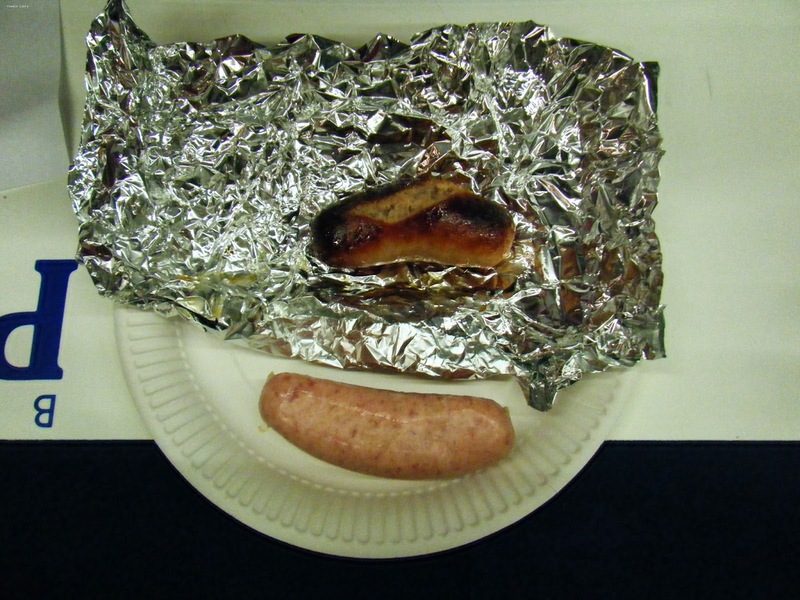 A little shrinkage is expected, surprisingly some of the sausage that were full and plump when raw did shrink considerable after being cooked. I was interested in why this might be, under filling, air pockets and high water or fat content can all lead to shrinking sausages. The cooked sausage was measured against a raw one to glean the comparison. Other criteria that we looked at were texture, filling, internal faults and of course taste and smell. 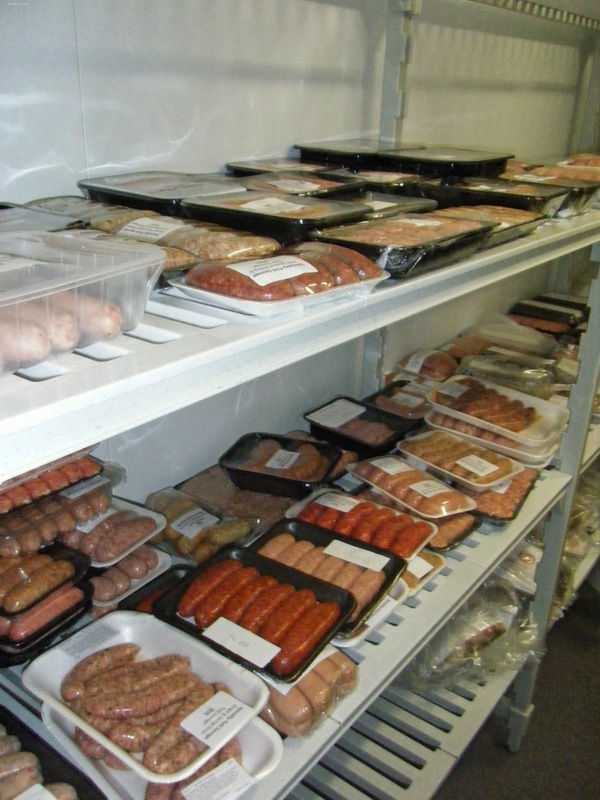 As well as judging for national sausage week we were also looking at catering sausages, I was particularly interested in the healthy choice sausages. 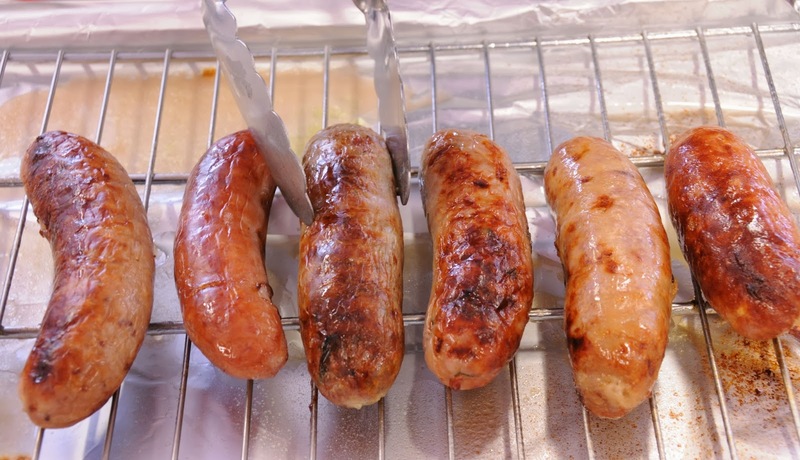 One issue with these sausages face is that traditionally sausages get their juiciness from the fat content, so healthy alternatives can often be dry. It was interesting to see the different ways butchers had combated this adding vegetables, herbs and even fruits to the sausages keep them moist. I'll never take look at a sausage in the same way again. The entries were all anonymous with the official winner being announced at the launch of sausage week in November. I don't know which one it will be but I can tell you there were some very tasty entries.